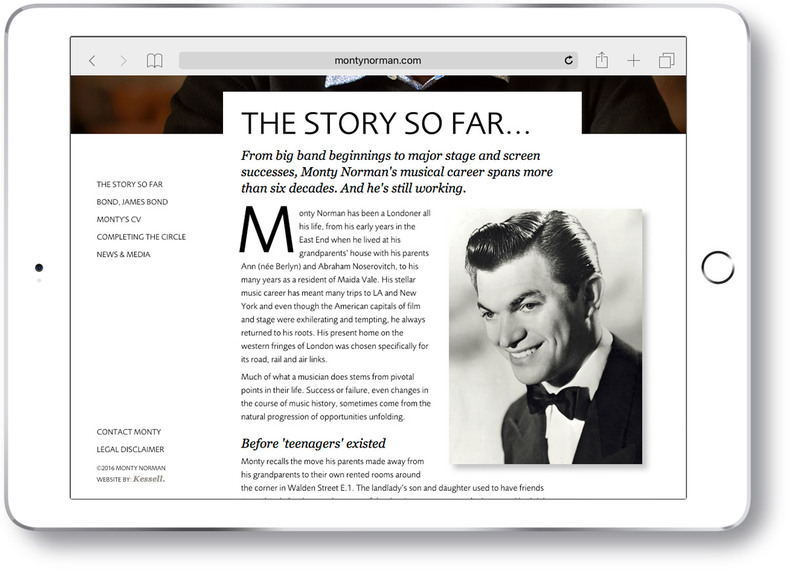 A bespoke biographical website for Monty Norman, composer of perhaps cinema's most recognisable theme. 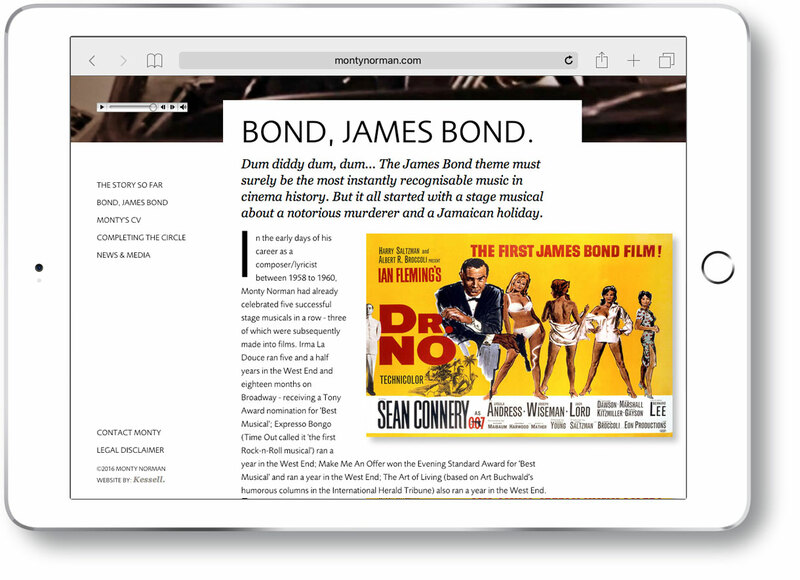 Yes, the iconic James Bond theme tune – perhaps the most enduring and widely recognised theme in cinema history. 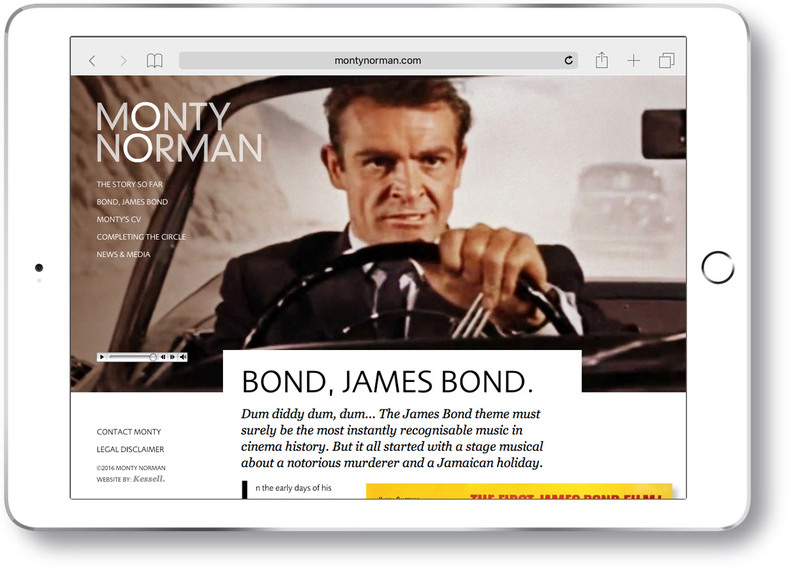 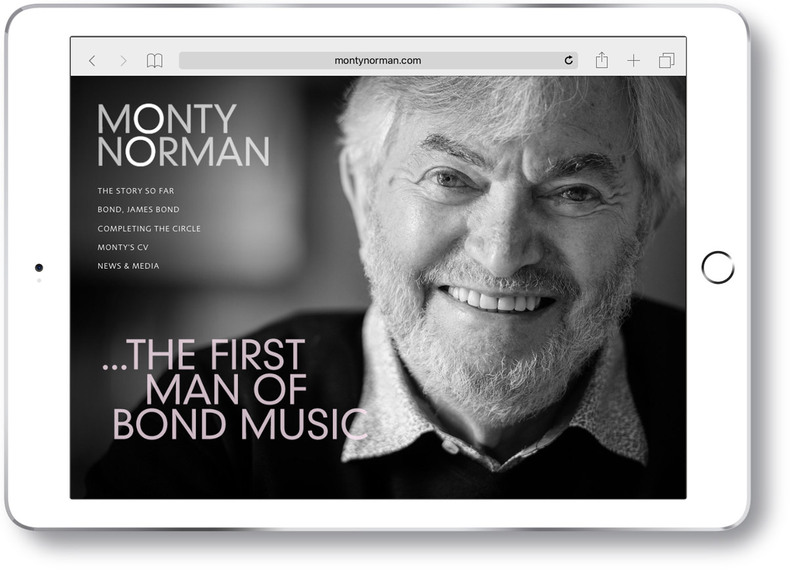 It was my very great pleasure to be invited by Monty Norman, composer of the famous 007 theme, to help him rethink and redesign his biographical website. 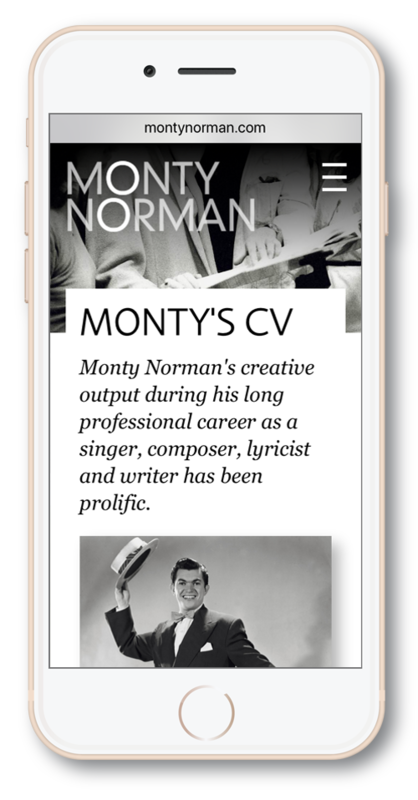 While the Bond theme clearly stands out as his most recognisable and popular creation, Monty's career has been varied, spanning more than six decades - and he is still working! 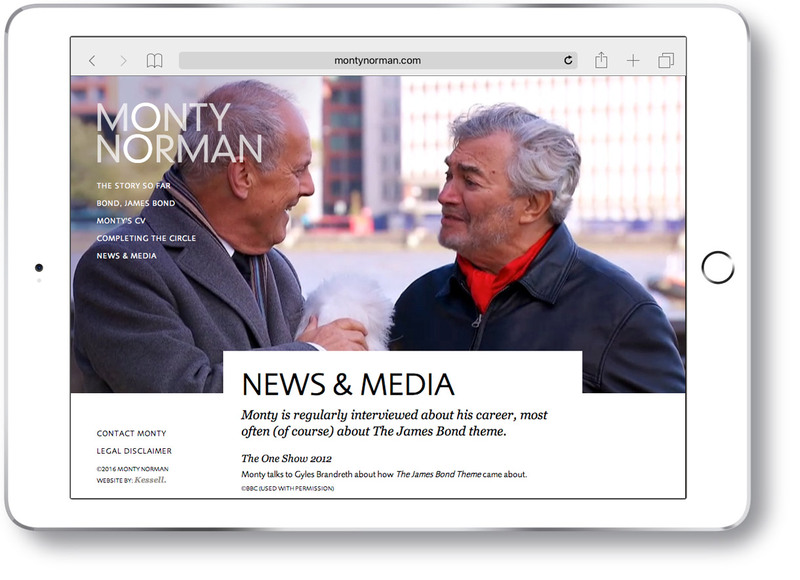 Having spent many hours in discussions with Monty and researching his extensive archives, the challenge was to create a website design that would capture the character of the man and allow a wealth of written and visual material to be selectively presented in an attractive and engaging way. 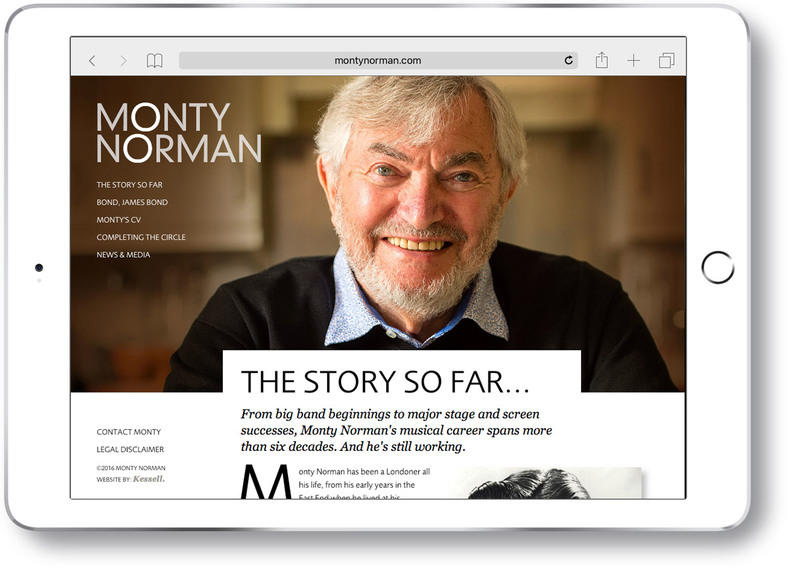 We proposed something of a 'magazine' approach and commissioned a new, in-depth interview with Monty to help tell his story in a coherent way. 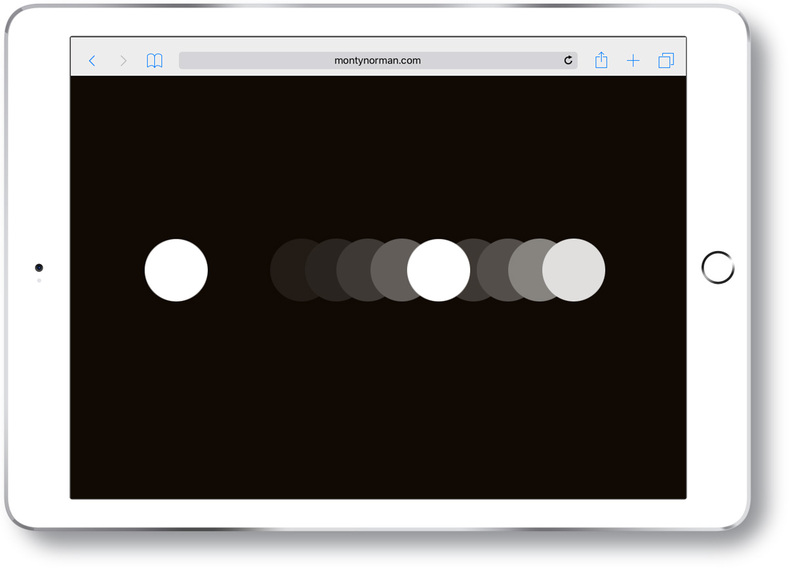 We also commissioned new portrait photography. 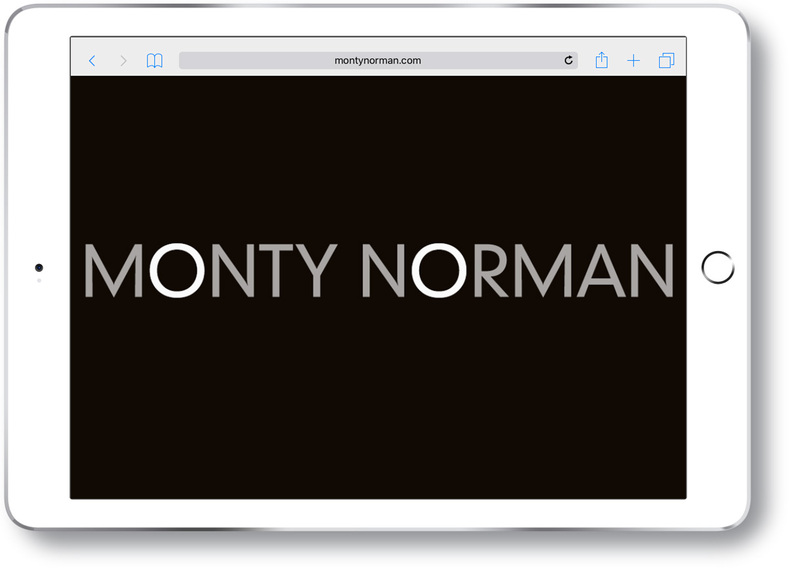 Clearly, it was too good an opportunity to miss having a little fun too, so the new logo/monogram we designed is animated on the landing page in homage to the opening titles of Dr. No, the film in which the theme first made its appearance. 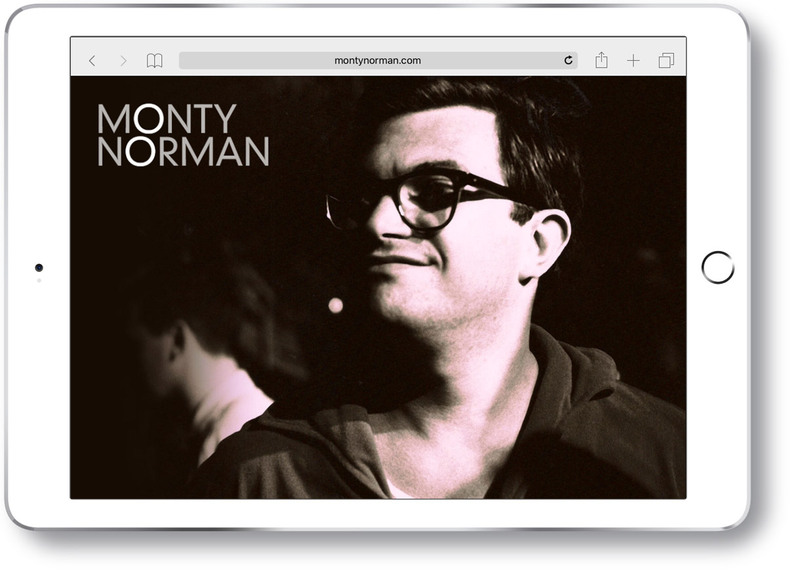 Monty is a lovely, genuine guy. 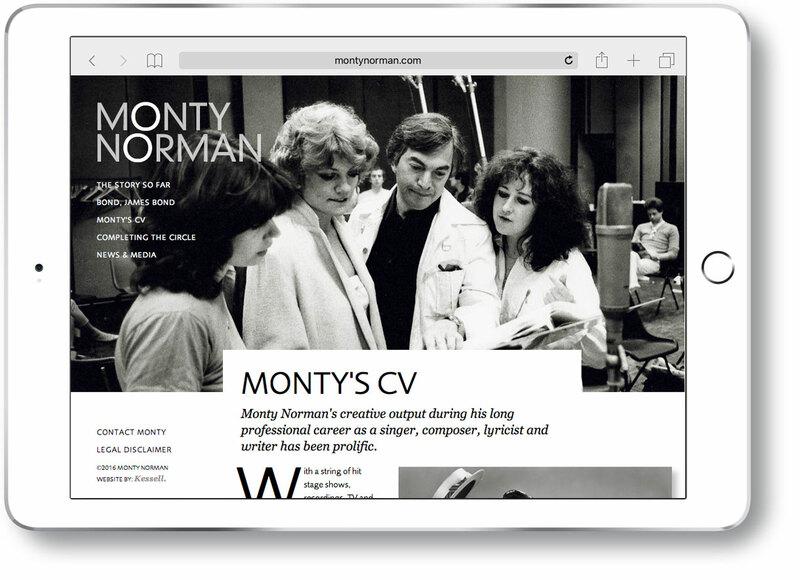 I felt very privileged to be involved and we continue to work together in keeping his site up to date.